A few days for a big residential system. Most of the time we’re only on your roof for a day. Design, engineering, and permitting can take a few days, or up to a month, depending on your municipality. Some cities sit on permits for weeks, others don’t require a permit at all. 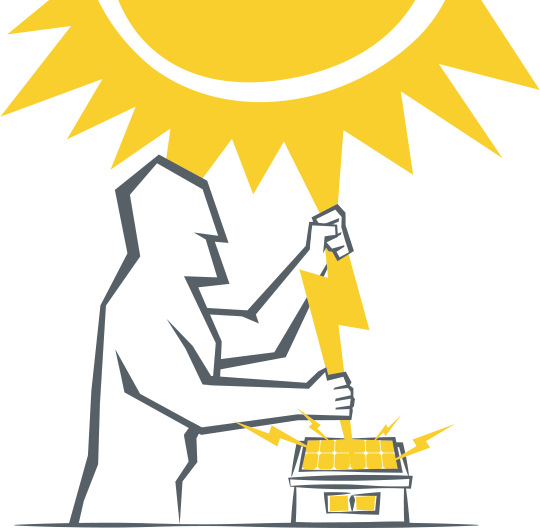 Certain times of year are extremely busy for solar installers. Tax incentives tend to expire at the end of December, so the last two months of the year see huge bottlenecks, and then we’re standing around twiddling our thumbs by January. Most of the time, a solar project can be wrapped up in three weeks, start to finish. At KW, we put a ton of emphasis on keeping you happy by delivering as expected. So we’ll let you know pretty much what to expect any time you call.